On this page you can find information and pictures of La Palm. 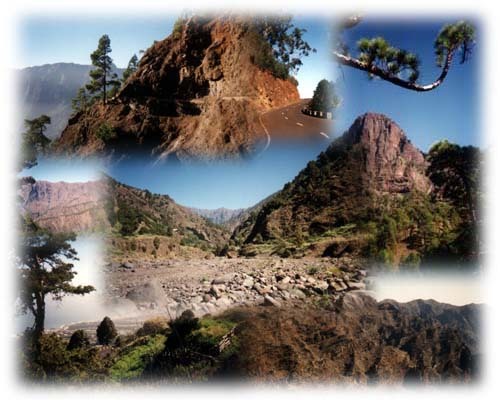 La Palma is one of the Canary islands which belong to Spain. It is located in the Atlantic Ocean near the cost of Marocco and has a subtropic climate. The size of the island is 47 km long and 29 km wide with a total area of 728 sq. km. The landscape contains mountains, vulcano's and forests, which are largely unharmed. On average the wind direction is North. If you compare the rain fall of the north west of la palma with the south you see that it rains twise at much in the north. This is the reason that in the north there are more forests.